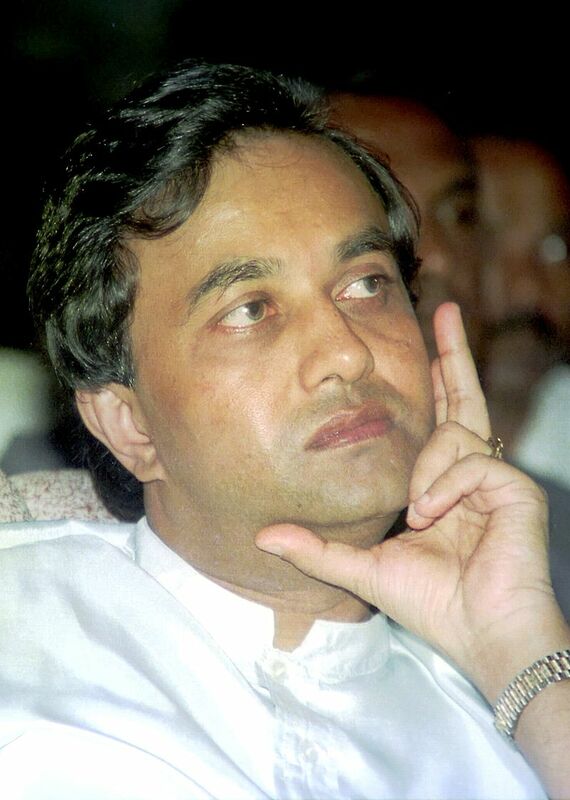 The United national Party (UNP) has somewhat a mixed record in governance. While on the sphere of the country’s economy it has had a praiseworthy score, its allegiance to socio-political liberalism, especially amongst a nationalist-minded Sinhalese Buddhist majority, has created quite a negative image contributing to a rapid erosion of its voter base in the last two to three decades. That erosion of votes is particularly manifested in Parliamentary elections. The performance at the recently held local government elections is just an emphatic illustration of that policy. Yet the J R Jayewardene era stands out as an era that really changed the country’s historical path. The socio-political changes that were introduced to a land that was dragged down to the depths of economic disaster and social subservience have withstood many a storm of ridicule and insult from an opposition that has not contributed an iota of progressive reform except state-owned enterprises that ran every such enterprise to the ground. That political machinery J R presided over was manned by some educated (except R Premadasa, although lacked formal education in a conventional sense, was very practical-minded and street smart) and bright students of politics. It resembled a classroom of extremely bright students under the safe umbrella of an exceptionally brilliant professor. R Premadasa, Gamini Dissanayake, Lalith Athulathmudali, Nissanka Wijeratne, Ronnie de Mel, Gamani Jayasuriya and A C S Hameed were a batch of Cabinet Ministers who could turn any stagnant political-economy into a moving wheel of progressive growth and social development. And they just did that like a team of swashbuckling modern-day twenty-twenty cricket team. However, from amongst these bright stars of J R’s team of management, two shone as extra bright ones: they were R Premadasa and Gamini Dissanayake. The writer is being briefed by a close friend and a person who was in the employ and happened to be the unofficial Chief of Staff of Gamini Dissanayake. The writer has no reason whatsoever to doubt the veracity and authenticity of the brief either. For easy reference of the reader, we’ll call him Mr. X. 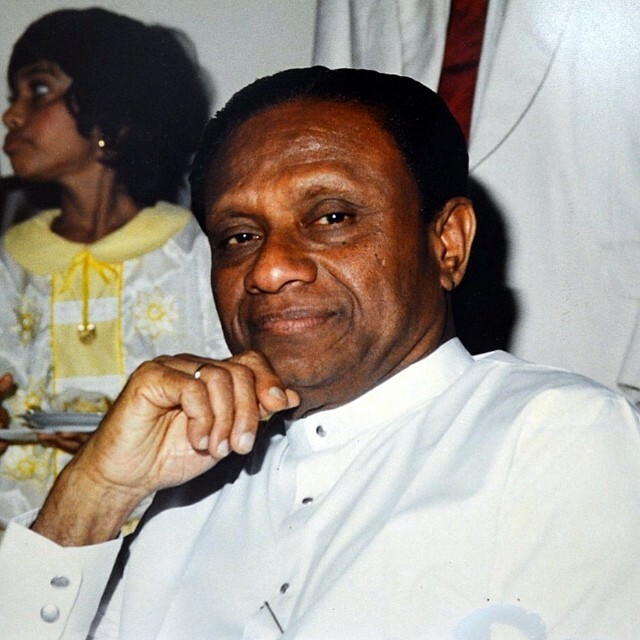 According to Mr. X, in the early days of the political career of Gamini Dissanayake, in the early to mid-seventies, Premadasa used to get on with Gamini quite well. At the time Gamini, a newcomer to Parliament in 1970 attracted a great deal of attention from both the media and those who were interested in politics in Parliament and outside. During Dudley Senanayake’s brief period from 1970 – 1973, until his death, both Dudley and J R treated Gamini like their prodigy receiving unconstrained attention, specifically in Parliament, encouraging Gamini at every turn of events. Premadasa being a politician with immense ego and ambition was not a person not to notice this special attention given to a newcomer. All the accolades flowing towards Gamini Dissanayake from the two leaders of the Party did not go unnoticed by him. Premadasa’s beginnings were rather unambiguous. Yet his achievements in the field of politics are beyond compare. A determined man to the core of his being, R Premadasa in the context of Sri Lankan politics was an exception. His exceptionalism lay in the way he conducted himself in public. A man with immense personal energy and drive which could match his immensurable ambition, Premadasa, at the time when the UNP was in the Opposition benches, set an example for up and coming UNP Parliamentarians and electorate organizers. Yet no parliamentarian or organizer could keep up with the tight daily schedule Premadasa set for himself. A politician with colossal ambition yet determined to follow a disciplined schedule to fulfill his ambition, reminded one of an athlete training for Olympics with single-minded resolve to win the Gold. Meeting his constituents at 4 o’clock in the morning, preparing his speeches for forthcoming rallies, handing research on various projects to his selected government servants and other academics, visiting the Sirikotha, the UNP headquarters on a regular basis and encouraging the youth to join the Party, R Premadasa was truly an epitome of a leader whose vision and mission were goals set much early in his political journey but made ostensibly easy yet extremely hard to achieve by way of an exemplary commitment to hard work and personal dedication. Not even J R could match that commitment. With all these positive traits of a leader, Premadasa lacked in one crucial character of a great one- he lacked a sense of security. On the contrary, J R was quintessentially secure in his leadership of the Party. While J R never had to look over his shoulder to see whether there was any one pulling him back, Premadasa’s journey was fraught with a constant barrage of insults, abuses and vitriol. Yet he managed to attain his goal in the midst of an unprecedented series of violence and turmoil. His management of the office of Presidency was totally a different story. His passion for revenge and propensity for Stalinist type of governance made him not the envy of Sri Lankan political society of the day; it made him a leader who was more feared than respected by his followers. Eventually his flirtations with Prabhakaran and the Liberation Tigers of Tamil Elam (LTTE) took its toll. A man who performed miraculous feats when he was Prime Minister under J R could do no miracles when he was the President of the country. 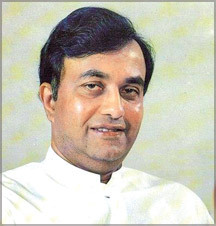 His tenure as President lasted a mere three years; at the time he was bombed down by the LTTE, Premadasa was an unpopular leader and that was vicariously displayed by the lighting of fire crackers at his death- such ghastly act by our people was indeed a contemptible stain on a society that benefitted immensely from the man himself. His son is Sajith Premadasa who is considered an automatic alternative to the leader of the UNP, Ranil Wickremasinghe. Gamini Dissanayake’s story is different. He was first elected to Parliament in 1970. He was one of 17 MPs elected in an election debacle, in a real sense of electoral loss, greater than that which the UNP suffered in 1956. Gamini was the only newcomer UNPer in Parliament when giants like M D Banda, E L B Hurulle, Montague Jayawickrama and others fell. One person other than Dudley Senanayake and J R Jayewardene saw Gamin’s potential and that person wanted to destroy Gamini’s career at the very outset. He was Felix Dias Bandaranaike. At an election petition initiated by Felix Dias, Gamini was unseated and the case looked quite strong. However, in order to bring another Parliamentarian, Nanda Ellawela, who got knocked off at another election petition, back into Parliament, an Act to Amendment to Ceylon (Parliamentary Elections) Order in Council 1946 was introduced, unwisely assuming that Gamini could be knocked off in the soon-to-be-held by-election. It was not to be. Gamini not only won the by-election at a hard-fought battle in Nuwara Eliya. The duo of Felix Dias and Wickrema Weerasooria drew their legendary battle lines along with it. Gamini’s rise in Parliament as an able speaker both in English and Sinhala languages propelled him to be among the elite of parliamentary debaters and when he fell short of R Premadasa, who had a thirty-year handicap over Gamini, by only six (6) measly votes at the UNP Organizers election on a secret ballot, he knew that he had arrived at the doorstep of leadership, a way ahead of time. The rest, as they say, of Gamini’s achievements in such a short span of time that stretched a mere thirteen years, is history. Six colossal reservoirs (Victoria, Kotmale, Maduru Oya, Ulhitiya, Randenigala and Rantembe), 150,000 settler families, thousands of Swarnabhumi land owners, almost every hamlet with electricity, water to a land, parched and dry, reaching the pinnacle of cricket for our cricketing lads, are no mean tasks. Premadasa/Gamini, the twin phantom of post-Independent politics in Sri Lanka is dreaded by those who opposed them. Any non-UNP politician, henchman or funder is now beholding the respective offspring of the duo. Sajith Premadasa and Navin Dissanayake can do wonders what minions would take eons to achieve. That is their promise. What has been left of any lasting value and measure by our politicians in the last three to four decades has been left behind by Premadasa and Gamini. Rajapaksas need to worry. Theirs is a legacy of treachery, corruption, nepotism and white vans and disappearances. Navin/Sajith duo may well be the answer to this treachery. It may well be the answer to this social betrayal. Mahinda Rajapaksa knows it. His family knows it and above all, Ranil Wickremasinghe knows it. Ranil has to make use this duo. If not, the UNP is doomed. Therein lies the answer. Not CBK, Not Sirimavo you people hate. And yet the Tamils vote for UNP in Colombo. “Premadasa – Dissanayake Combo still strong”. Vishwamithra would be dead right if the reference is to R.Premadasa and Gamini Dissanayake. The sons aren’t a patch on their fathers’ strength and charisma, even though dead. At least Premadasa stuck on and didnt cross over as Navin did. Such a man cannot lead the oldest political party in this land. Times have changed – now it is “Easy to murder reality”. SWRD B saw the folly of the language/religion-divide but was silenced by an ‘Ape Anduwa’ Buddhist monk. Ranasinghe Premadasa, the hardest working Lankan President we ever had, probably realised the futility of the divide but could not act. The inevitable has happened – the dignified entry of ‘New-Terrorism (NT)’. (NT is a realm in which corruption/nepotism/impunity are legitimate). Sorry Vishwamithra the battle is to take charge of NT. Vishwamithra suggests a solution in the last paragraph. Sorry again. We have to live under NT for a few more decades. Neither Gamini.D. nor R.Premadasa were the best of friends. The country knows this. Your essay is promoting either of the two sons of the aforesaid to take over the mantle of the Leadership of the UNP in meeting the challenges of the MaRa clan! The MaRa clan would make use of of their stewardship in finishing off the LTTE. Sajith and or Navin would campaign on the basis that their fathers were killed by the LTTE! The voter in in the North would think of the Jaffna Library when it comes to Young Navin. A Presidency cannot be won without Minority votes. Besides, notwithstanding the fact that the Muslims,find themselves in all Governments, whom would they vote for ? In the immediate aftermath of 2020 the country would slide down the slippery slope and in that context the Army would take over! We need to remember that the country is sleeping with China and India simultaneously! Army is comfortable exerting pressure from outside benefiting from having the cake and eat it too. So the security forces dare not jeopardize their position unless of course Gota wins the next Presidential elections. Army will have greater role to play under him, mimicking Pakistani forces. Navin Nayake has to apologize to the people for what his father did when he was alive and return Mahawali monies and looted books from Jaffna Library. Stop writing stupid letters to foreign government and MPs just because he studied in the UK. Whom do the Hindians support. Will Navin Nayake (like his father) promise to work for Hindians? By the way the jury is still out on the assassination of Premadasa. Vishvamithra: What a very strong Argument. both fathers well known because of that two sons are best suited. YOur imagination is first class. I heard Kilinochchi people are thinking to present a PResidential candidate and then negotiate with with both parties and withdraw. Neither of them are suitable to be the head of state. UNP needs to produce leaders with new blood. Leaders who can unite a divided country and drive economic development for future generations to have a better life. UNP is like a headless chook without preme,gamini,lalith and ranjan wijeratne.Those are the ones that had leadership qualities.A leader is a person who is always restless and wanting to improve things,not placid and content with the situation like ranil. just because the father had leadership qualities does not mean that the son also will have.The fathers DNA gets diluted by the mothers when DNA is passed to the offspring.Yes,you can see some qualities of the father but not all,and if leadership quality is not there or not enough,he won’t be a s good.Instead the UNP should counter the leadership triumvirate(a group of 3 men holding power) of mahinda,gota and basil,with a group of men holding power,say in the form of a leadership council. To do that we have to as the first step get all the card carrying members of the UNP to vote for the leader of their choice.Nobody should announce that they are candidates. This is not the usual type of election with a conclusive result,but merely a process by which we get an idea of what the UNP rank and file think.Let them vote for anybody they think will be a good leader and by not having candidates putting up their hand we will avoid all the internal rivalries of an election.The results will speak for themselves with votes going to ranil,sajith,navin,arjuna,fonseka,ranjan ramanayake,ruwan wijewardene,harsha,mangala,akila etc.I might have missed some who might get votes.Take the five highest votes and form a leadership council of 5 to counter the formidable triumvirate of the rajapakshe bros.I noticed a picture in CT of the 4 rajapakshe bros sitting together and discussing strategy.That is their greatest strengh the unity and joint decision making.